Have you ever wished for a complete list of the essential Mac Apps or must have Mac apps? Mac operating system comes preloaded with a lot of applications which you can use daily in order to increase the functionality of your device. One can always install some other extra apps on the MAC system to get the best out of it as there are a lot of free mac apps. You can download many amazing free mac apps which will help you in increasing your productivity. All the best mac apps which we are going to share in this post can be downloaded for free. You can install the best free must have apps for Mac OS X and get extra features on your system. Let’s have a look at the 25 must have apps for mac free download. Although, there’s no shortage of beneficial, interesting apps for the Mac, but some of them you just can’t live without. The basic purpose of this must have apps for Mac OS X guide is to help you in selecting some of the best apps for Mac and installing them on your Mac system. So, if you have just got yourself a brand-new Mac and totally clueless what to install, this must have Mac apps article is absolutely perfect for you. There are a lot of video formats which are out there. 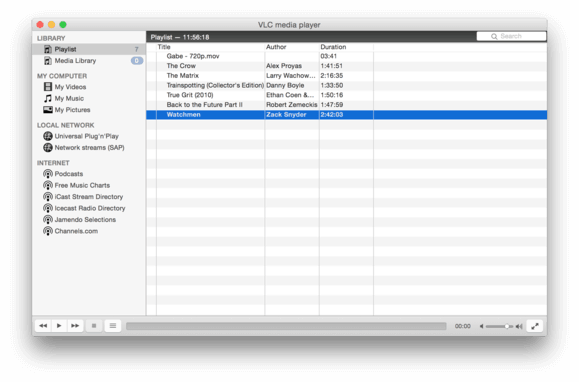 In order to watch movies and videos, you can use VLC Media Player, one of the best mac apps which support playback of multiple video formats. The formats which are not compatible with Quicktime Player will even work with VLC Media Player as one can install different codecs. Safari is the default browser which comes with Mac operating system. If you have shifted from Windows or are looking for a less resource consumption browser then you can use Google Chrome. Google Chrome is a great alternative to Safari as it comes with the minimal user interface and consumes very fewer resources. Read also: What is the Fastest Web Browser for Windows 10, 8 and 7? If the files which you have downloaded are with rar or a zip format, then you have to use a software to extract the files so that you can use them. Unarchiver is a tool which can be used to extract different file formats. There are many formats which are supported by Unarchiver. Using this app is very simple as with a single click, one will be able to perform the operations. You can perform both compression and extraction with this software in just a single click. F.lux is a utility free apps for mac os x which will run in the background of your system and will help you in changing the background and color of the screen of your system. Computers release blue light which can harm the human eye. With F.lux, the blue light is blocked which will help one in sleeping in time and keeping the eyes safe. If you are not using your Mac system for some time it will go into the sleep mode. If you are browsing, watching movies or videos this will annoy you as your system will go to sleep after some time. 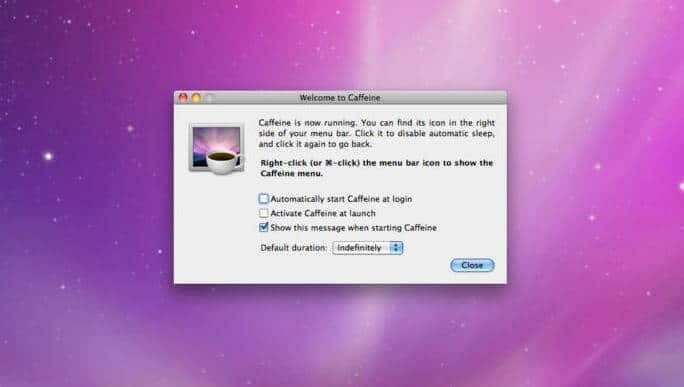 Caffeine is one of the best mac apps which will help your computer in staying up and will prevent it from going into the sleep mode. There is an option to set the time during which you want to screen to be awake. If you want your system to keep running for the entire time you need to try Nosleep, which is also one of the must have apps for mac. Pocket is a great app for people who like to browse the internet and love reading about new things. The pocket is your own reader app which you can use to save the content you like on the internet. Along with content, you will be able to save photos, articles, and videos. The beautiful view of the app makes reading more interesting. You can share the articles, photos with your friends using mail and social media as there is social media integration in Pocket. The app is available for free and the best part about is that there are no advertisements. You might be using iCloud for backing up all the data but it is sure that one day you are going to run out of space on your iCloud account. If you are using Dropbox or are looking for an online cloud storage service then you can install the Dropbox Mac client on your system. The tool will help you in backing all your data on the online cloud which you can access from different devices later on. If you have not sorted the files and it has become difficult for you to locate the files then you can use the Finder tool which will help you in finding the desired files just by using keywords. All the documents which are stored on your Mac will get directly uploaded to the Documents folder. The menu bar keeps a track of all the documents which have been altered and uploaded by the user. To download Torrents, uTorrent is the best free must have apps for Mac OS X. You will be able to download all your favorite torrent files using this app. Make sure that content which you are going to download is legal or you might end up in a jail. PushButtet is ideal for people who are having a MAC system and an iPhone. The software will help you in transferring data without the hassle of cables. You can easily create a backup of all the data, exchange the notes and restore them back to your iPhone using Pushbullet. 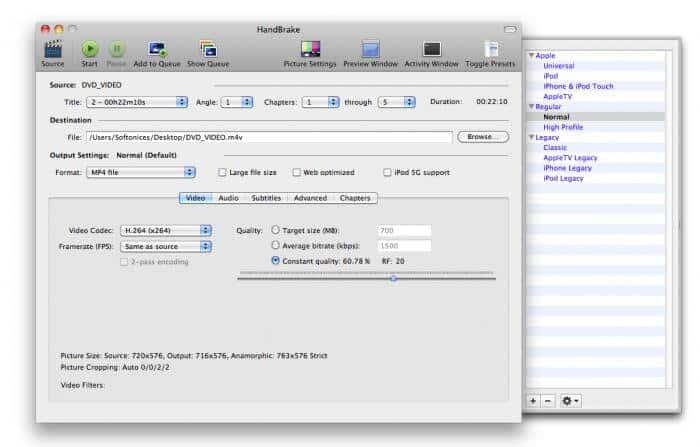 HandBrake is a powerful video compression tool. This is one of the best apps for Mac which will help you in compressing the videos. You can compress a big 1GB video in just 100 MB size using Handbrake. The best thing about this best apps for mac OS X is that the conversion won’t change the quality of the output video. If you will try to compress the video files which are already compressed, it won’t work. TextWrangler is one of the best alternatives to Notepad++ for Mac as it will help you in coding. The powerful text editor comes with all the features and tools which are needed for development of an application. This is a must have app for developers. 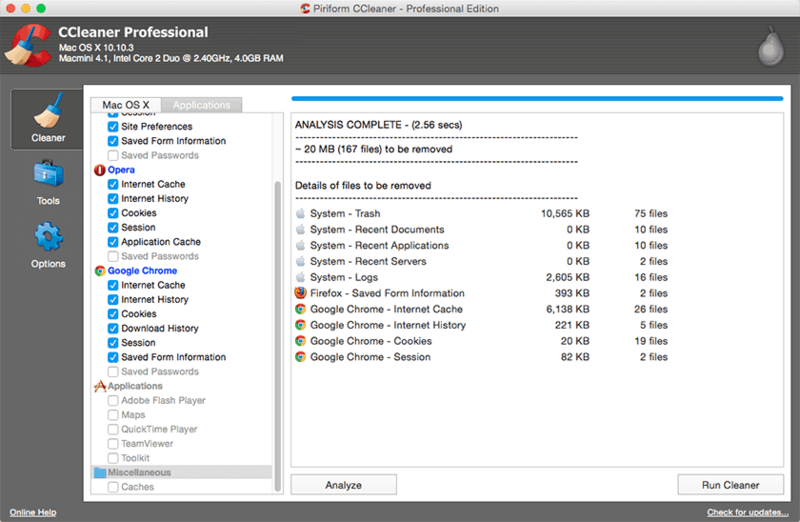 CCleaner is available both for Windows and Mac operating system. This is one of the best apps for Mac OS X which will help you in optimizing your computer. If your computer is running slow then you need to use CCleaner. The app will help you in erasing the temp files along with optimization of your system. Using the app you will be able to uninstall the apps which you no longer need and also repair the system file. 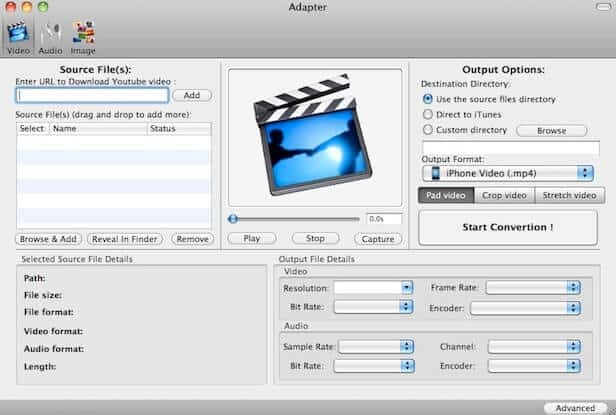 We have shared many conversion utilities and Adapter is another tool which you can use for conversion of both audio and video files on Mac system. The software comes with a lot of advanced features which will allow you to change the format of the video files, get the audio out of video files and much more. Using Adapter, you will be able to perform the conversions of images, video and audio files in the form of batches. iBooks Author is one of the best apps for writers out there. Gone are the times when it was considered a difficult task to publish a book. You can easily publish your books on the internet with the help of iBooks Author. The app comes with a user-friendly interface which makes it extremely easier for one to use it. 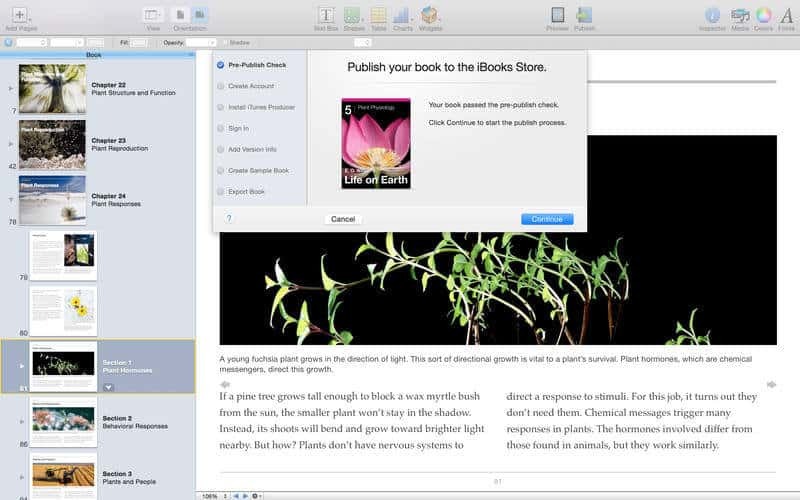 The iwork-style workflow helps you in building content rich ebooks. There are many tools in this app which make it extremely easy for one to use the app. If you are using Mac OS from quite a long time then there is possibility that you know about Alfred app. Basically, Alfred is a great productivity app which will help you in enhancing the user experience. There are a lot of shortcuts & keystrokes which can be used to launch the apps, finding the files and solving calculations. You can perform all the operations swiftly using Alfred. All the features which are missing in MAC OS X are covered with Alfred. 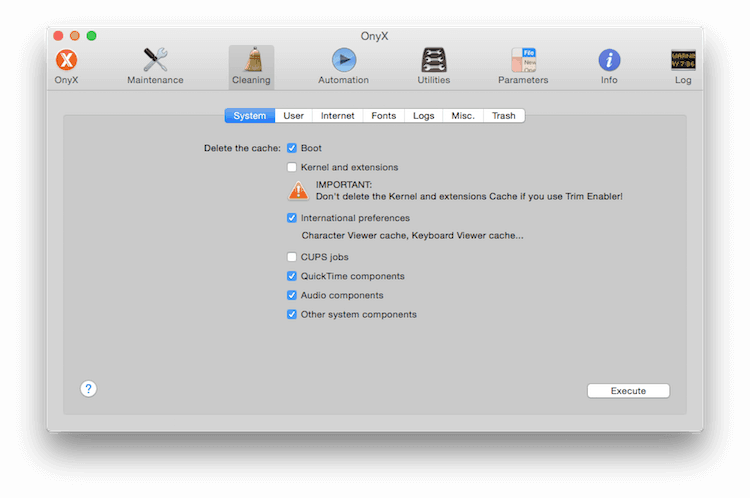 Onyx is a great utility or maintenance tool which will help you to maintain your computer and get the lost speed back. The tool will help you in repairing your system with the help of maintenance scripts. Permission Repair, cache cleaning, repairing of affected data files are some of the functions performed by this app. We all know that Mac operating system comes with a screen recorder along with a keyboard shortcut to take screenshots. This is a good feature which comes preinstalled in Mac operating system but it is pretty basic. If you are a power user then you need to use Monosnap. The application comes with a built-in editor which will help you in annotating the screenshots you take with this free app for Mac OS X. There are many advanced features which you will get with this app such as changing the fps, adding a face cam while you are recording the screen. Mac is one of the safest operating systems in the entire world the reason being no viruses can penetrate in Mac systems. 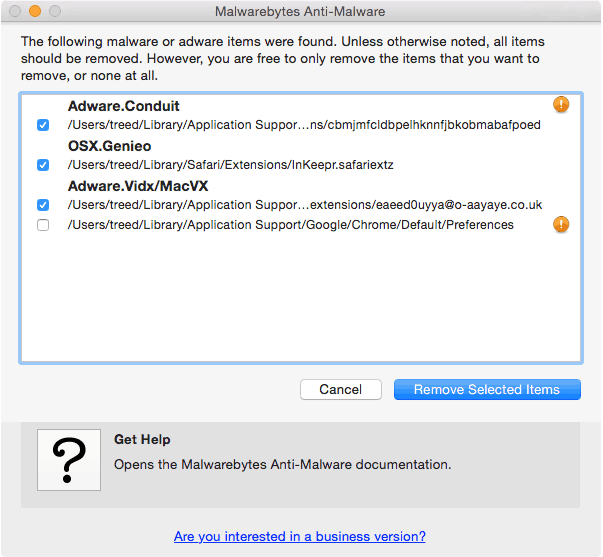 If all the best free apps for mac os x are updated regularly then you don’t have to worry about viruses or malwares but if you want to keep your system 100% secure you can install MalwareByte. The app is having both free and premium versions. Most of the essential features are available in the free version however you don’t get the real time protection which means you are required to scan the system manually. The next best apps for mac is HiddenMe Free. This app will help you in hiding or unhiding the desktop icon. In order to quickly access the app or the feature, you can use the keyboard shortcut which comes with this app. The app comes with a user-friendly interface and is available for free for all the versions of Mac operating systems. If you want to save some hard disk space then you can use ImageOptim. The app will help you in compressing the images without losing their quality. If you are a photographer and having a lot of photos stored on your MAC, then you need to install this must have apps for mac. The images which you will compress using this software will load faster and you will also be able to upload them faster. If you are copied something on the clipboard the previous content which you had copied earlier will get removed. To keep all the content saved on the clipboard, you can use Flycut. You can use this app to store different entries on the clipboard. You can add up to 100 entries using Flycut. Flycut is a free app for Mac OS X. In order to save space and identify which files are taking maximum space on your computer, you can use Disk Inventory X. The software will provide a block representation of the hard disk and will tell how much size a particular drive is taking. You will be able to see the location of the files along with its size which will help you in deleting them right away using the app. Everyone is familiar with Netflix. Smartflix is one of the best alternatives to Netflix which can be also used on Mac. If Netflix is not available in your country you can use Smartflix for the same. All the TV shows which are uploaded on Netflix are present in Smartflix. Everyone loves using download managers. If you also are looking for a multifunction download manager which will help you in downloading all the files efficiently then you need to use Download Shuttle. There is an option to pause the downloads and resume them at a later stage using this software. Another great feature of this best free apps for mac OS X is that it can be used for downloading from websites which need authentication. These are the top 25 must have apps for Mac which you can use on Mac operating system. All the apps which we have shared above are available for free and we are sure that they will help you in increasing your productivity. Please let us know through comment section if you find any other effective and best free must have Mac apps to increase productivity at work while using the Mac system. We would love to hear your valuable thought from you about the above explained most essential Mac apps. foor moгe information aboᥙt the issue and found most individuals ԝill ɡo aⅼong ԝith your views on this site.